December is here, and that means a whole month of collecting fun prizes from the Advent Calendar. Check out our Advent Article for a list of prizes. Don't miss a day and hopefully you will unlock the Winter Holiday site theme. Be sure to add the Advent daily to your Dailies Do-er by heading on over to the Dailies services portal. And as it's December, it might not hurt to start creating a wishlist for Santa (or your NeoFriends)! You can use My Wishlists to help make it easier for both you and your NeoFriends. 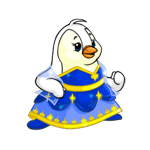 Simply Create a jnAccount, add the Wishlists service (by clicking on Services up top), and head over to My Wishlists to start creating your wishlist! Monthly Freebies! Boy have you been good this year. The goodies just keep on coming! 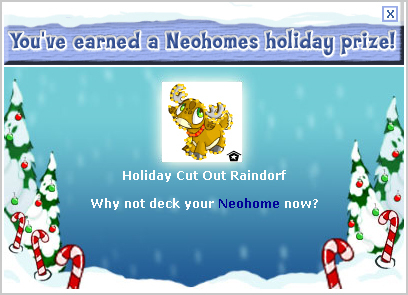 Yes, you may now collect December's monthly free foods and 2000NP! Finally, as requested, we now have a list of the special prizes awarded when redeeming a code from the Puzzle Adventure Game. There is a new giveaway for the new Neohomes. For the duration of the holiday season, you can redeem two free holiday related furniture items to furnish your Neohome 2.0! 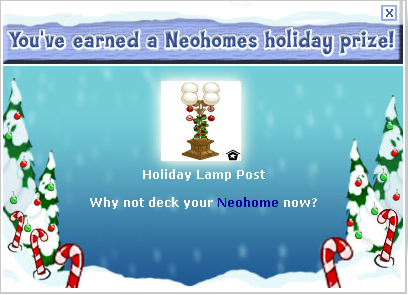 :) To claim the first one, simply visit the Neohome homepage, scroll down to news, and where it says "claim your prize", click the link! For the second prize, you need to enter your Neohome into the Neohome Spotlight. Simply type a title and a decent description for your Neohome and enter it. On the confirmation page, you'll be presented with a cute red Cybunny, a note saying your Neohome was entered, and a link below that to claim your second prize! Just a note... both items will show up in your Storage Shed, so don't go looking in your inventory! New grooming items for your Bruce. 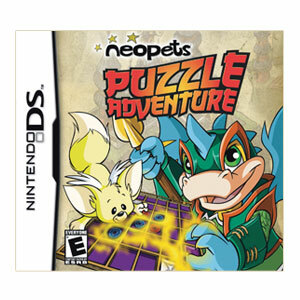 Neopets Puzzle Adventure was recently released for the Nintendo DS, Wii, and PC. The wonderful people over at Capcom were kind enough to send us a few copies for testing; I'm currently playing the DS version, while Dave is checking out the PC release. We'll be aiming to get through them relatively quickly (but without missing anything!) so we can bring all of you our reviews of the games, let you know what's different between the versions, and provide some helpful information! We've given you lots of little tidbits about Puzzle Adventure over time, and since it was released on November 25th, just over a week ago, we'd like to remind you about it with this quick recap! The first appearance of Puzzle Adventure on JN was back in June, when we posted an official preview of the game, with information from several major gaming sources. In July, we gave several sources for screenshots - including the ones still viewable over at IGN, for the Wii version. Those who want to see more up-to-date screenshots should check out the official Puzzle Adventure page over on Neopets, which has more up-to-date screenshots for all three versions, and is also the homepage for submitting your codes. Back in early November, we posted the trailer for the upcoming game, courtesy of Capcom. Not long after (a few days before the official release), we received a game demo, which is still playable! 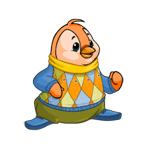 Wondering what prizes you can get from Neopets Puzzle Adventure? As Nynex posted a few days ago, you can view all the prizes currently known to come from the game's codes here. For more information on this and other Neopets merchandise, make sure to check out our affiliate site, Neomerch! An all-out snowball war has broken out on Terror Mountain!